Australia Education Management Group is a registered company in Australia. The specialty is engaged in the international education and cultural communication. Over the years, the aim of our group is to promote cultural diversity and education exchange between Australia and other counties. AEMG has established cooperation with education institutes and research centers in China, America, Europe and other countries worldwide. AEMG plays an important role in integrating and optimizing education resources, which bridges excellent education institutes worldwide for better communication and cooperation. 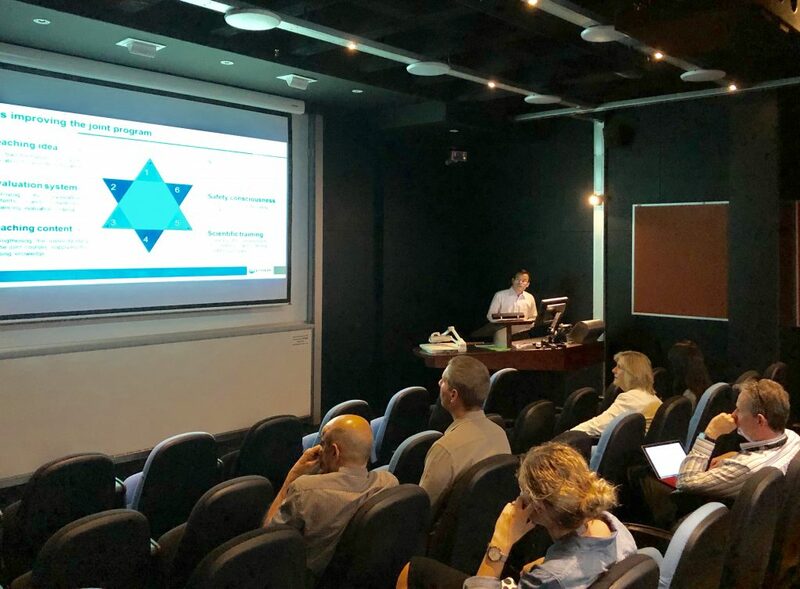 The NUCM- RMIT PD presentation was successfully held in RMIT Bundoora Campus on March 23rd, 2018. In this presentation, NUCM teacher Mr. Jun Long did the report on his training in RMIT. Ms. Bramwel, Ms. Ratanavali and some other staff from RMIT and representatives from AEMG attended the event. AEMG PD program aims to introduce Australia’s advanced higher education resources, improving Chinese universities’ discipline development and teaching competency. AEMG designs fine professional development program and training service, aiming to introduce Australia’s advanced teaching and learning resources. In the beginning of the presentation, Mr. Long introduced his research area, and then compared the teaching methodology differences between Chinese and Australian universities. He also brought out his suggestions and ideas and shared his thoughts on living in Australia. In the end, RMIT staff and Mr. Long had some deep discussions regarding the questions raised by Mr. Long. This event strengthened the cooperation between NUCM and RMIT, deepening mutual understanding. This also pointed the direction of the cooperation, which laid good foundation for the collaboration between those two universities.